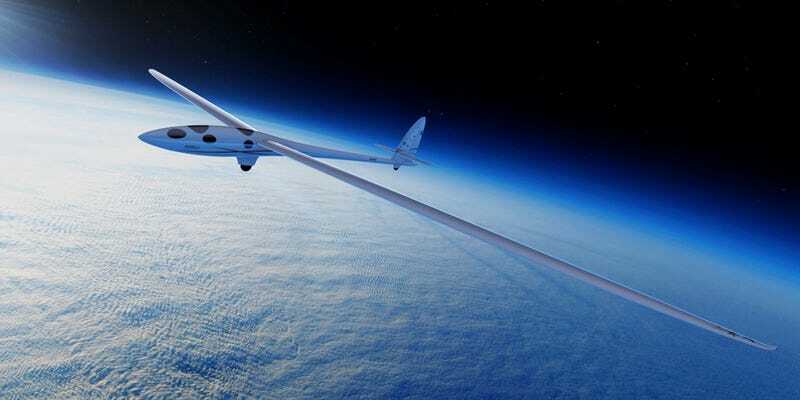 A glider designed to float to the edge of space on air currents will attempt its first flight on Wednesday. Next year, the Perlan Mission II will launch to soaring altitudes of 90,000 feet, where it’ll harvest invaluable data on Earth’s atmosphere and climate. From 1992-98, Perlan’s founder and NASA test pilot Einar Enevoldson collected evidence on a weather phenomenon that no one at the time even knew existed: stratospheric mountain waves. Like huge ocean waves, these waves of air are kicked off by strong winds blowing over the tops of high mountain ranges like the Andes. These waves of air then shoot straight up towards space. As a pilot, Einar quickly figured out that you can use a glider to ride those waves all the way up to near space. And he set out to prove it. The Perlan Mission II, which began in 2014, intends to best its own record by a wide margin, gliding well into the stratosphere after launching from a gusty mountain ridge in the Andes. The team will be trekking down to Argentina next year in search of a launch site close to the southern polar vortex, an air current that drives mountain waves into the stratosphere. But first things first, the little glider needs practice. Next week — weather permitting — a small jet will tow the Perlan 2 to an altitude of 5,000 feet, where it’ll be released to fly around for about 45 minutes before landing. We’re keeping our fingers crossed!